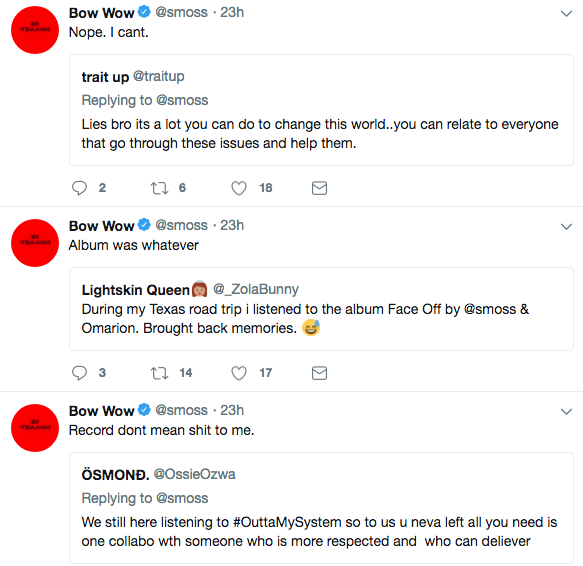 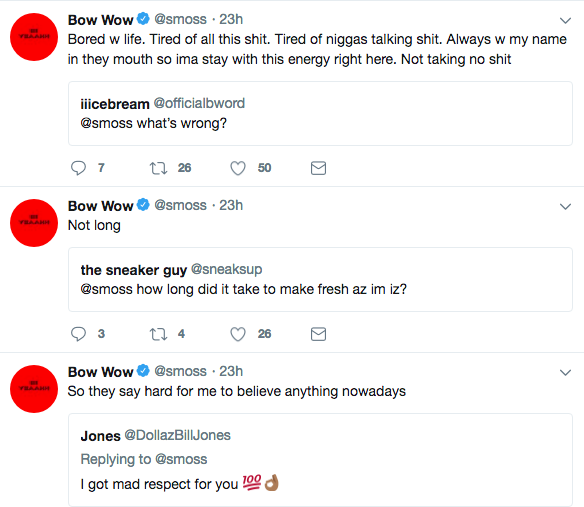 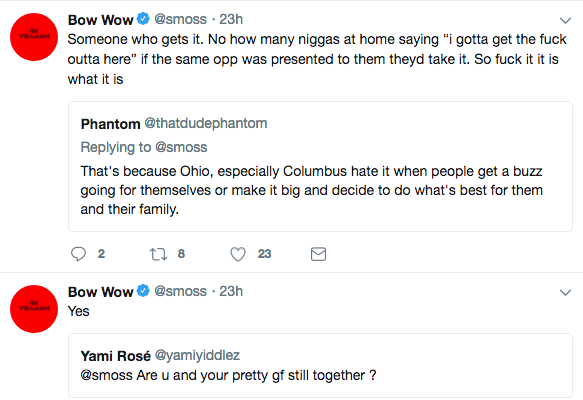 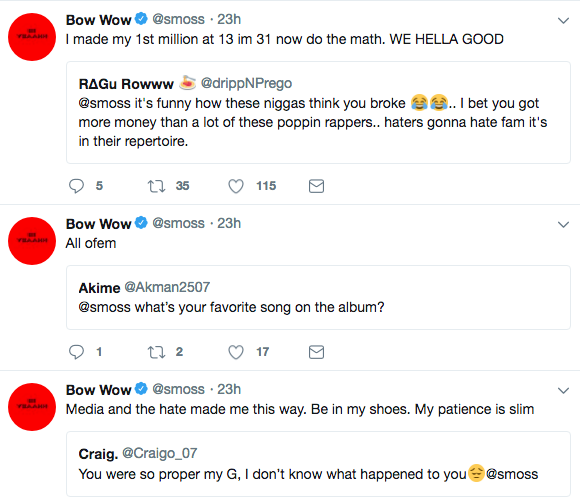 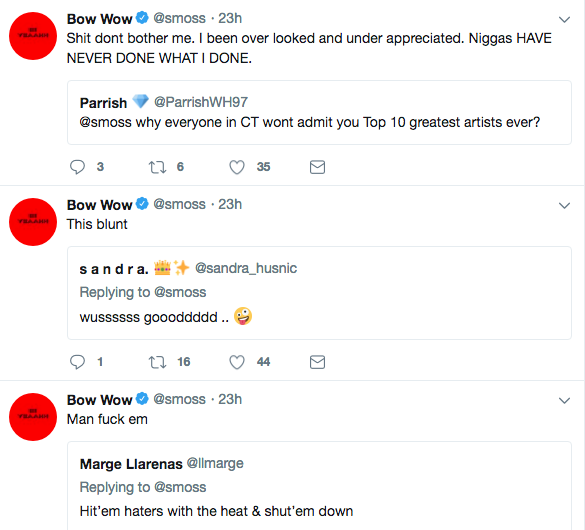 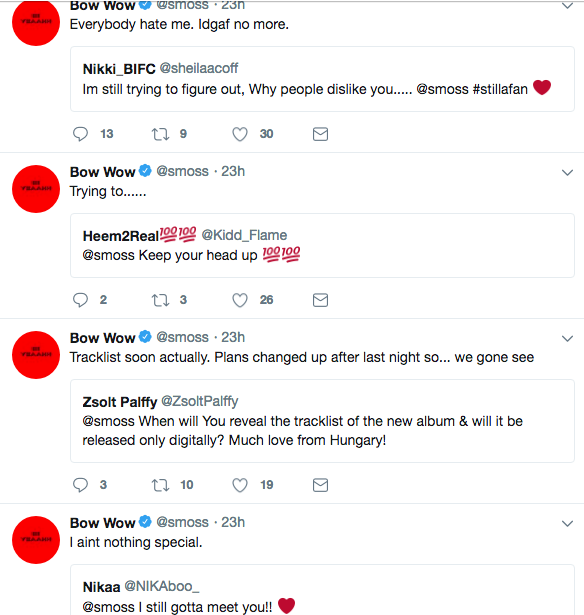 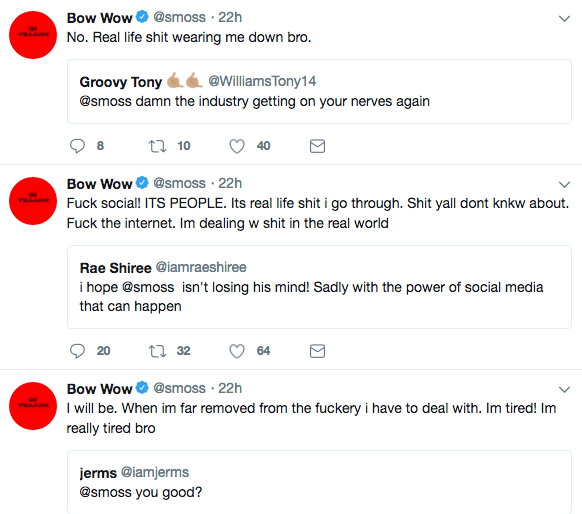 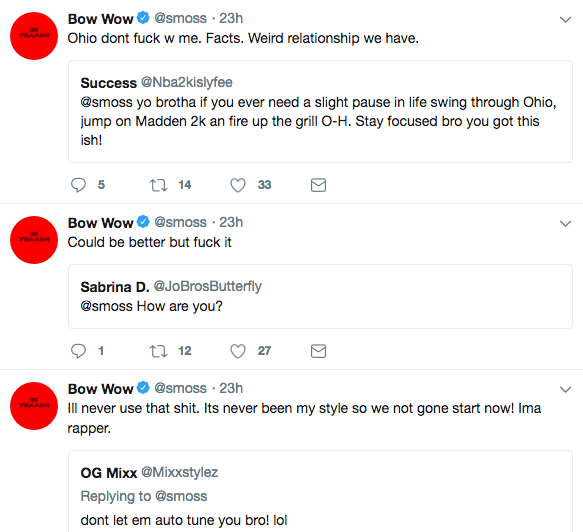 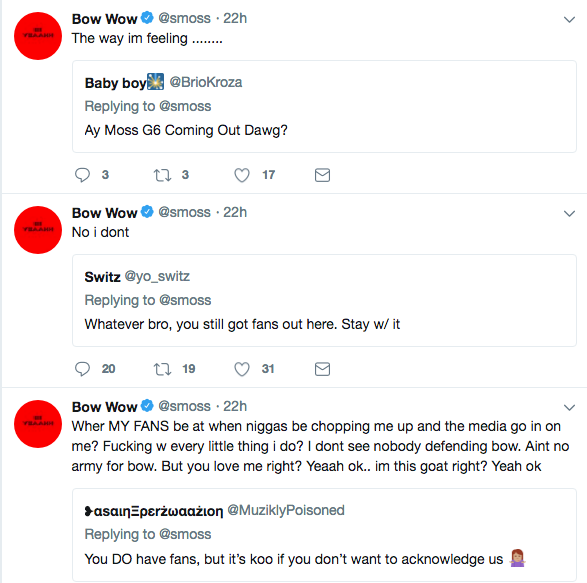 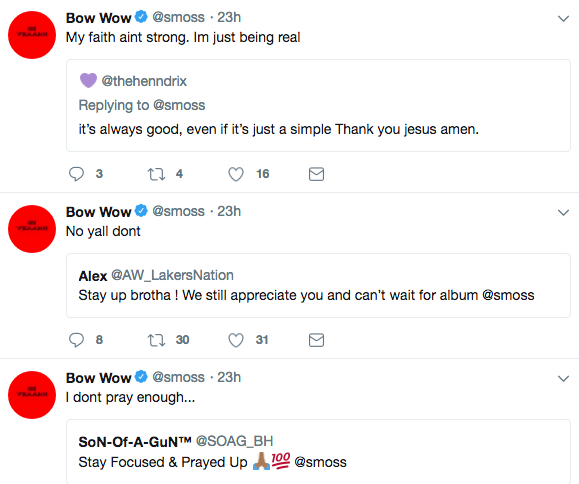 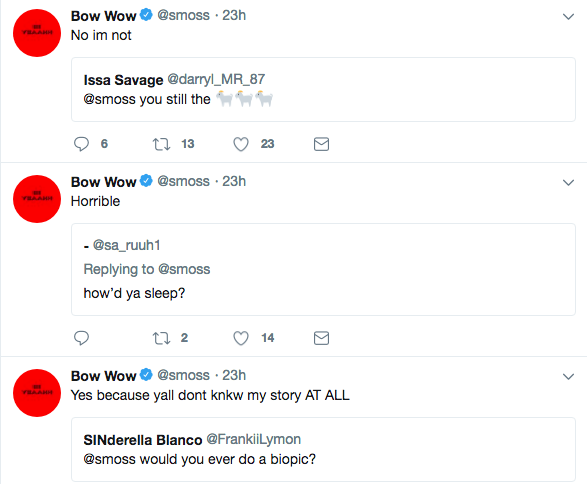 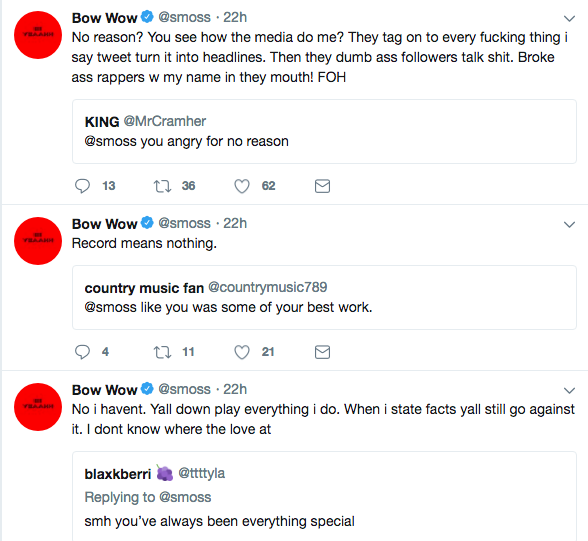 Bow Wow (real name Shad Moss) is venting on social media. 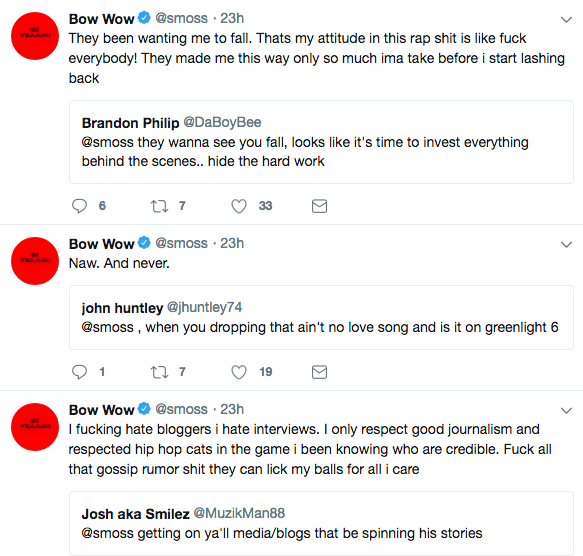 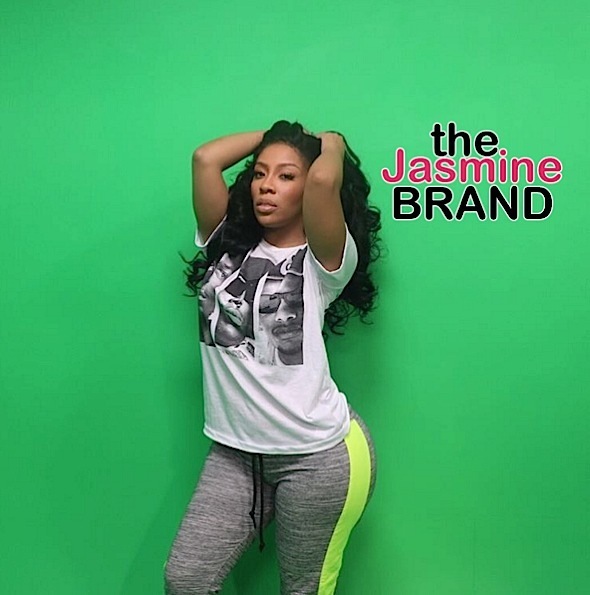 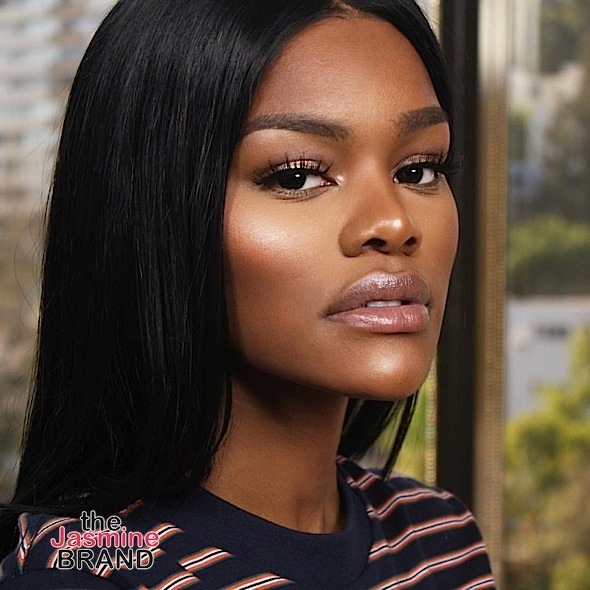 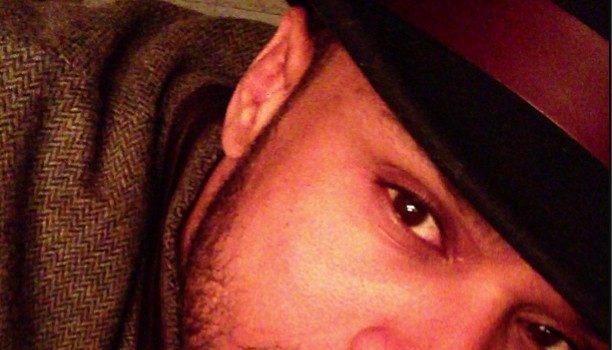 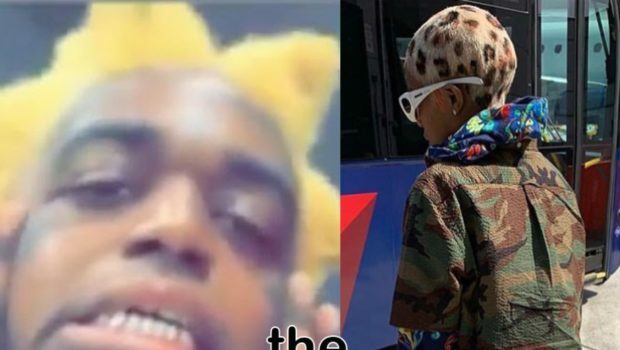 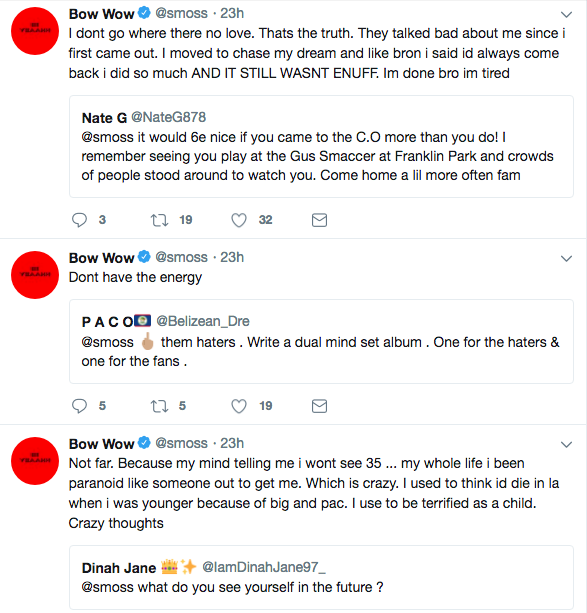 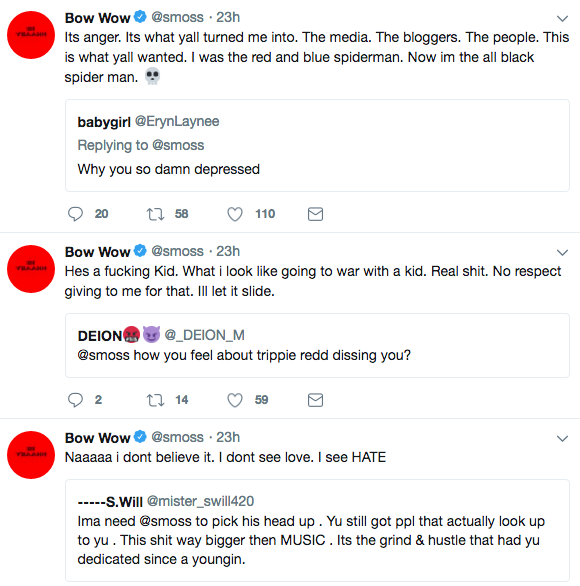 The 31-year-old rapper and Growing Up Hip Hop Atlanta reality star shared in a series of tweets that he feels unappreciated by his fans, targeted by the media and constantly attacked. 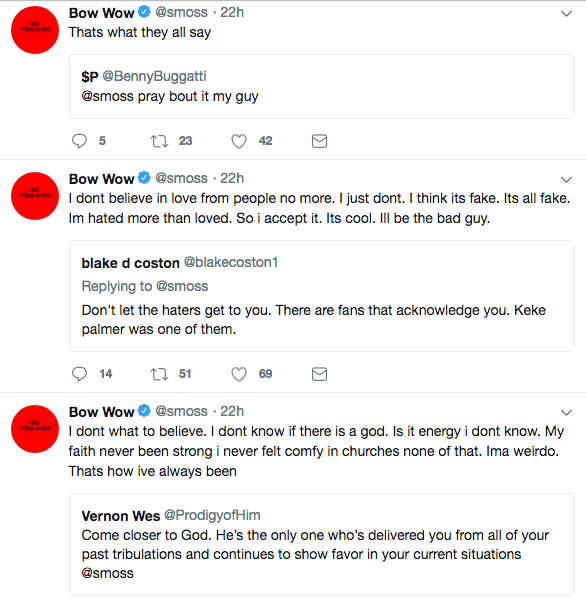 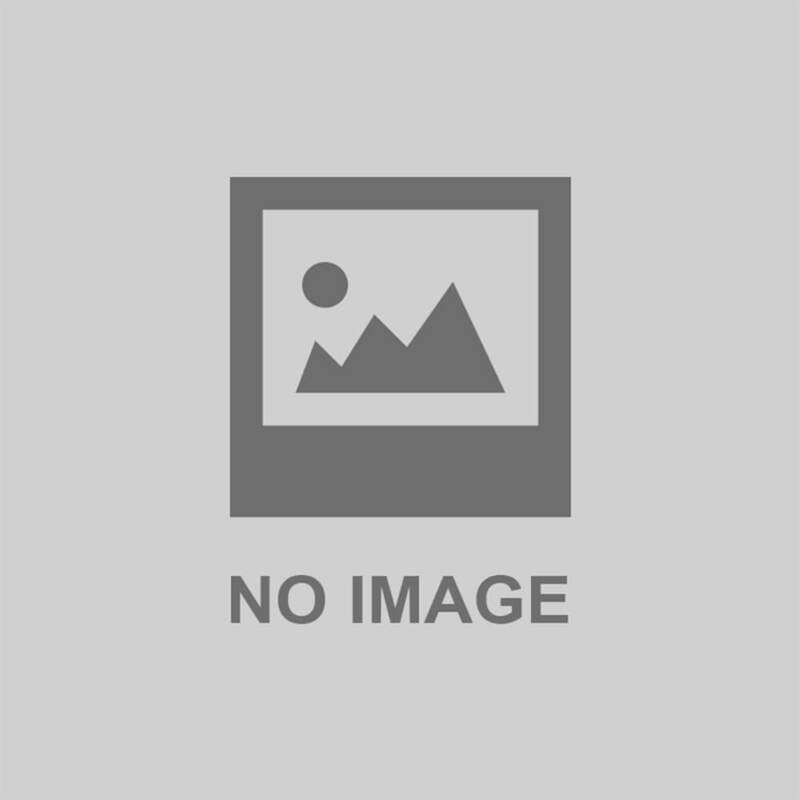 He also mentions that at times he doesn’t want to be in this world anymore. 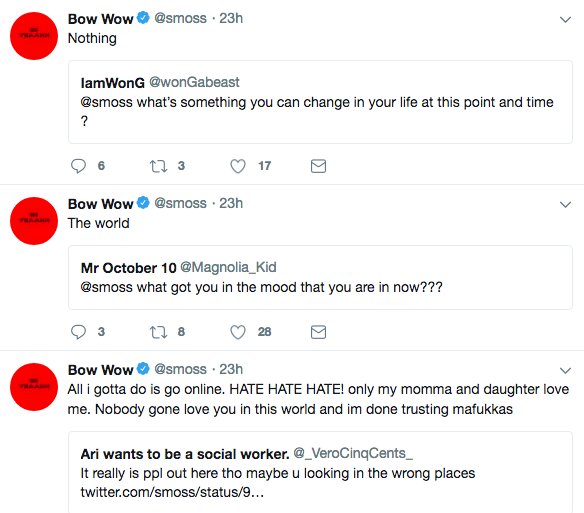 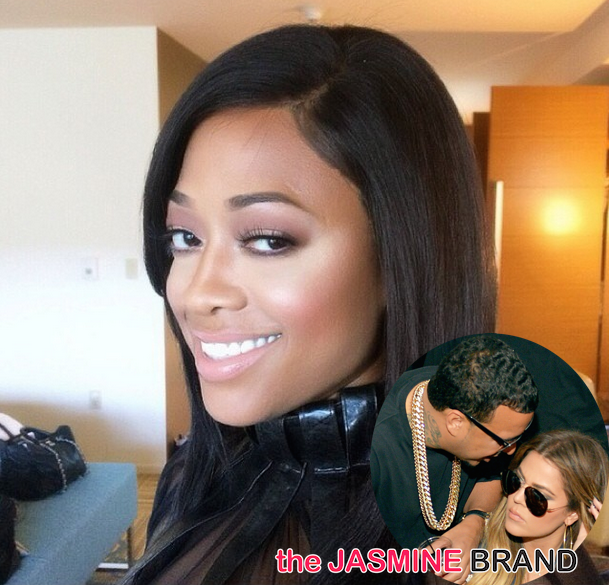 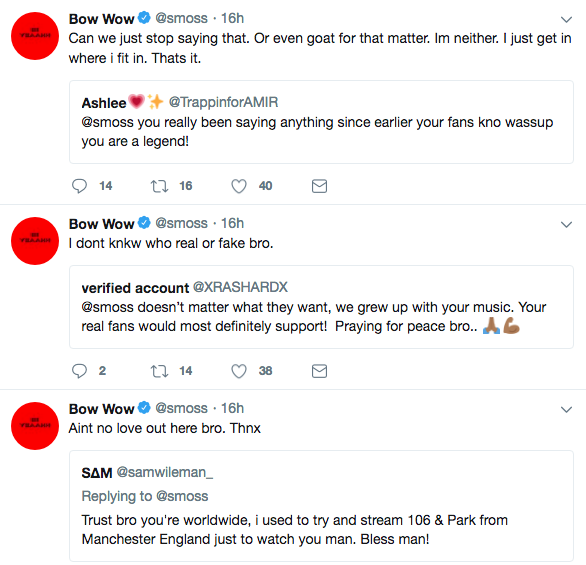 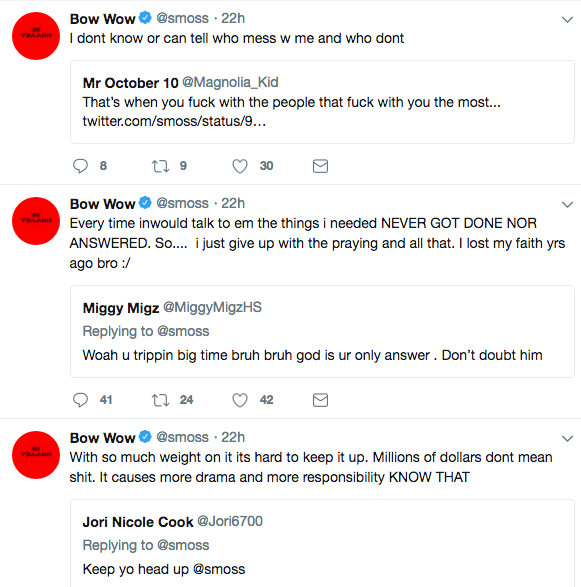 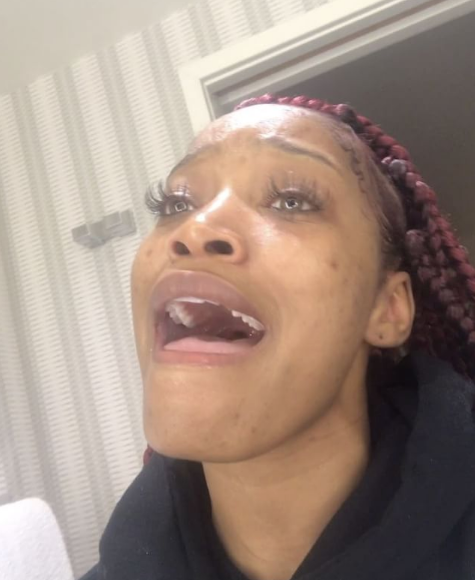 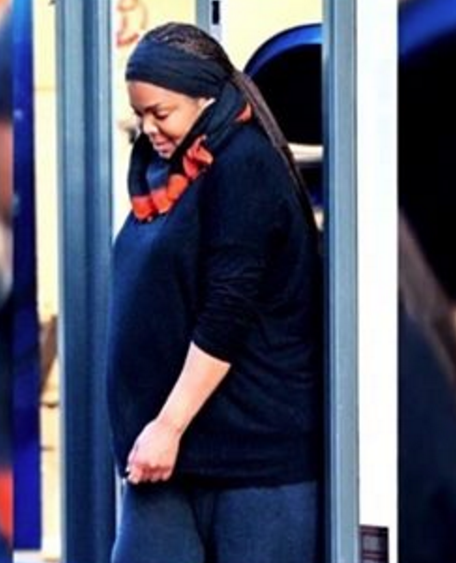 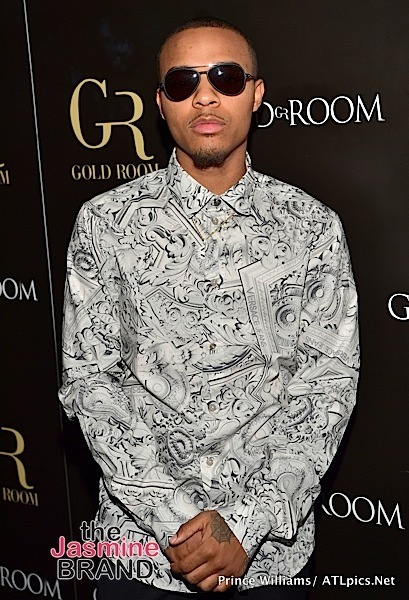 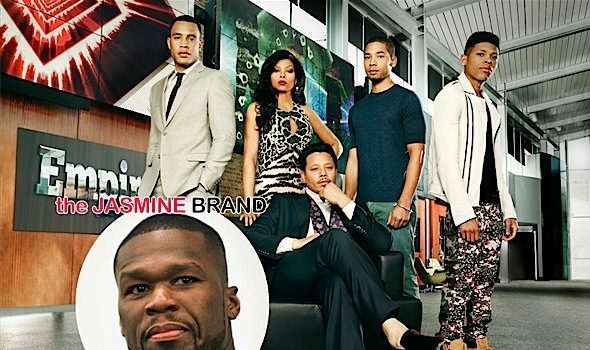 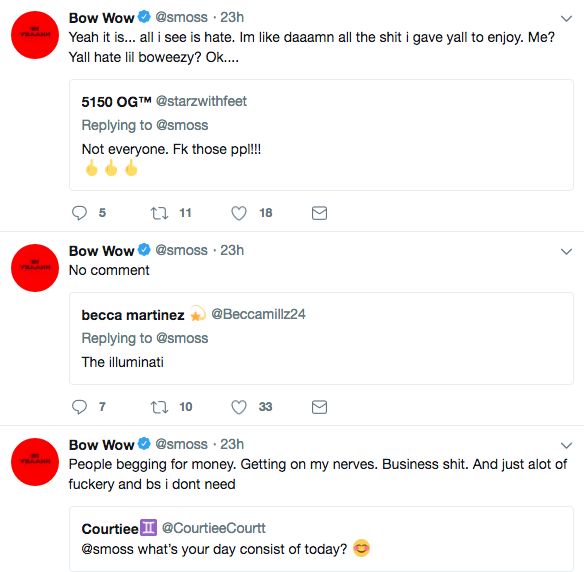 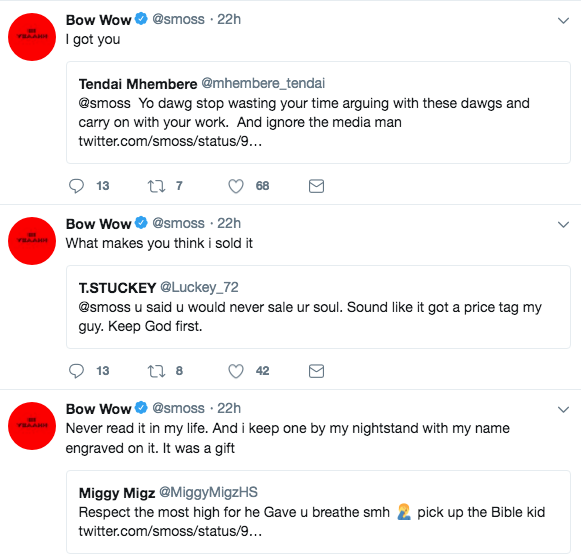 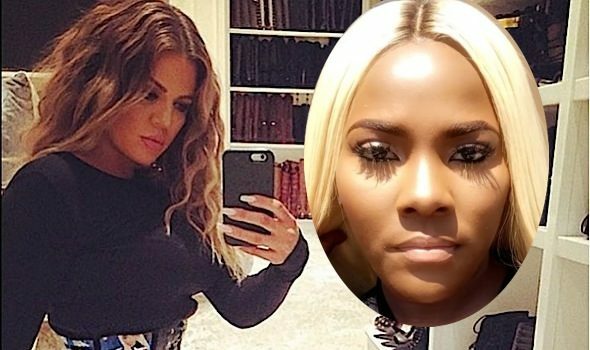 Is Bow Wow crying out for help?